Yesterday evening, Sam and I took an evening stroll through town to the local new micro-brewery. It's been lovely weather recently, and I thought it would be the perfect time to wrap up with my scarfigan (a scarf-cardigan!) which I created by tucking my scarf into my belt! Look at my silly face, I'm so pleased with myself. As we were walking I came across this gorgeous tree covered in lilac flowers so I had to stop to pose for some photos with it as my backdrop. The scarf is gorgeously soft and silky. It came beautifully packaged (perfect for gifts, but also to keep the scarf in for safe-keeping). Geek me made a gif of the unboxing! We walked down to The Fallen Acorn Brewery in Gosport, Hampshire (just across from the Portsmouth/Gosport Ferry). It does locally brewed beers and has tap room nights on Fridays. It was a fun evening, hanging around and chatting. We walked home along the marina front and obviously a little tipsy, I requested more photos! 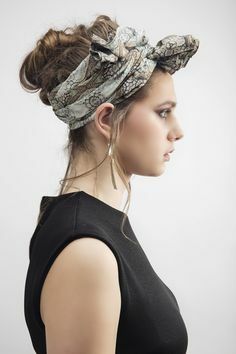 Any ideas on how to wear scarves out there? 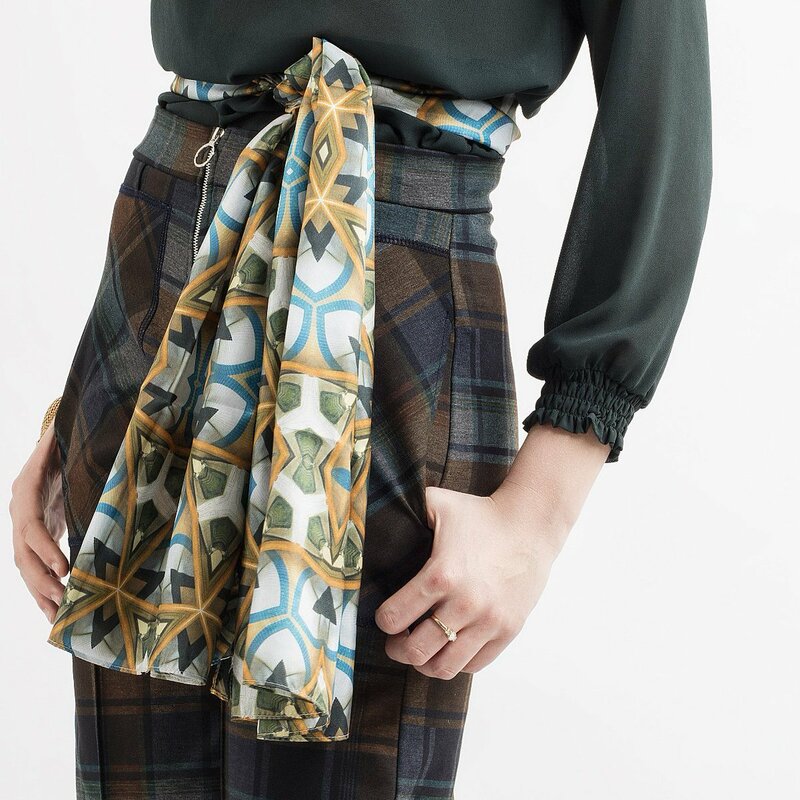 I'm a big pashmina/wrap fan, but have never owned a lovely silk scarf before and have no idea how to wear them (other than tied around your neck like my vision of a 50s air hostess!) Maybe I'll try it around my head!